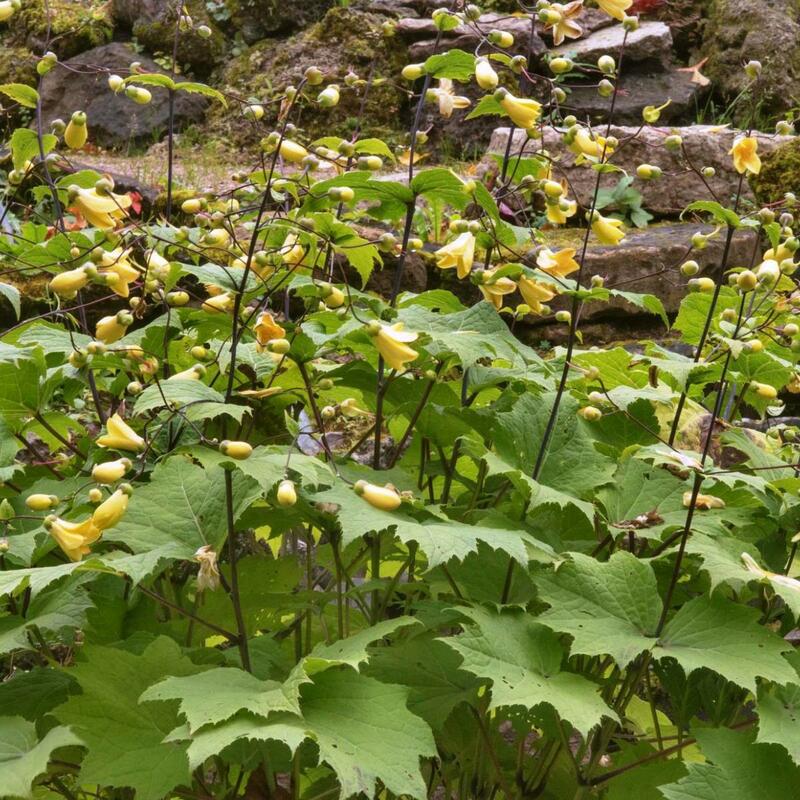 Kirengeshoma palmata is an amazing foliage plant, and late flowering perennial, forming an exotic-looking, upright 60cm clump of maple-like leaves. 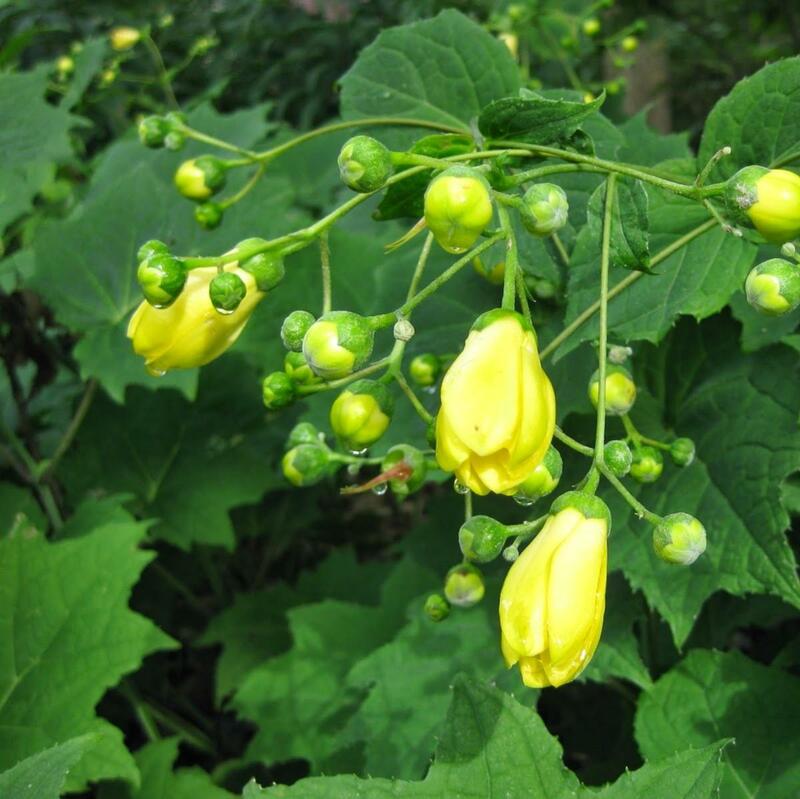 Flowers appear in late summer as lemon-yellow bells, flaring open and held at the top of the dark stems. 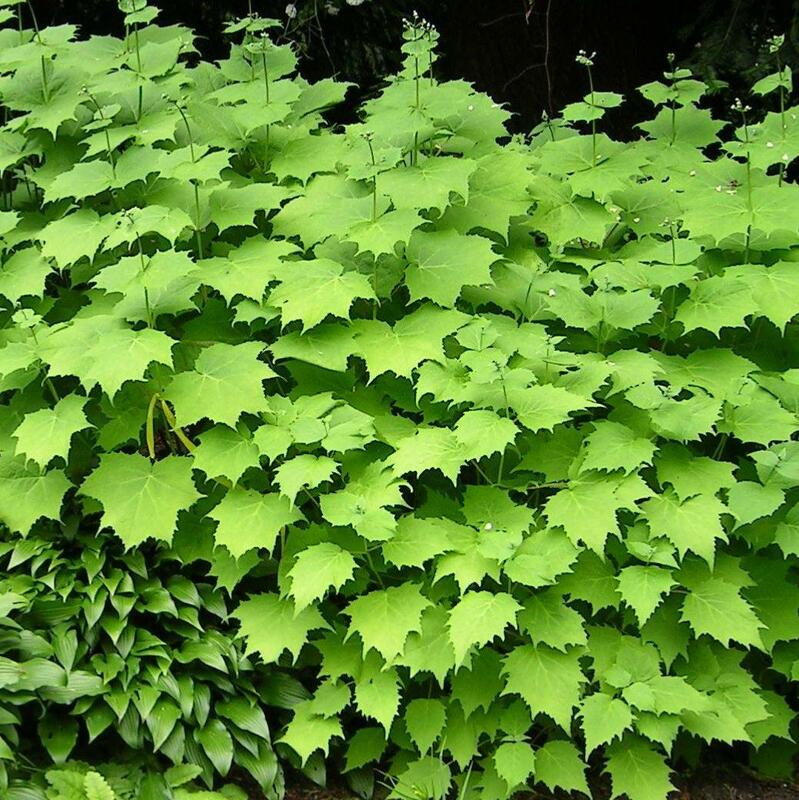 Although this Japanese and Korean perennial can bring colour to shaded areas, this rare plant is very adaptable and will grow in sun on acid soil that does not become to dry. It flowers unusually late and is much prized, starting in July and going on through September.